can you provide an example for these questions? 1. We would like to validate reference properties when the Next Action is clicked and prevent moving to the next step is are any errors. 2. What is the best approach to create a custom template for the Wizard. (we would like the Next/Back at the top of the page and update the top panel to not be blue. These are unexpected issues and we need to get these solved as quickly as possible. 1. 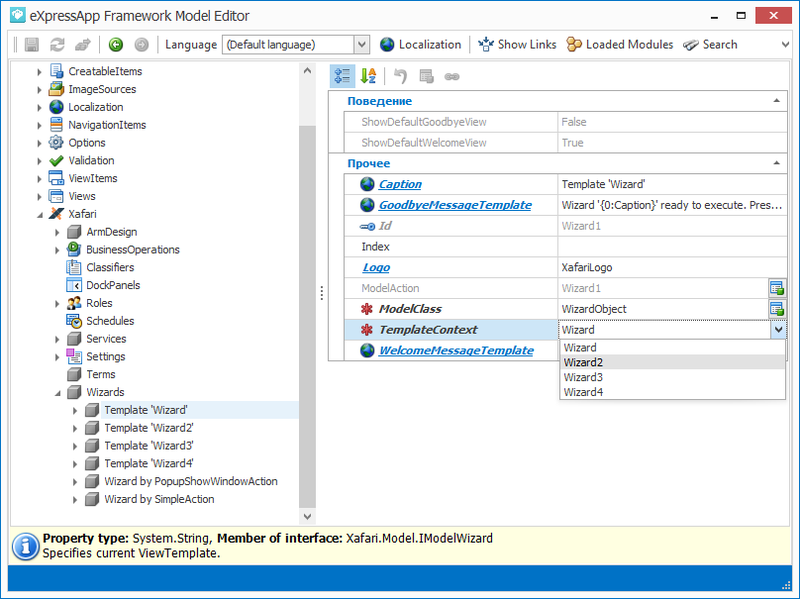 You need to get the WizardDialogController and subscribe to the CustomNextStep event. In the event handler, use the RuleSet Class to validate reference properties. 2. Xafari provides 4 templates for Xafari Wizards. You can setup it for your Wizard in ModelEditor. The template is set in “Template Context” attribute in node of Model: Xafari->Wizards->/Your wizard name/. The attached file shows how to do this.